Whether you’re turning four or fourteen, kids love a good birthday party. 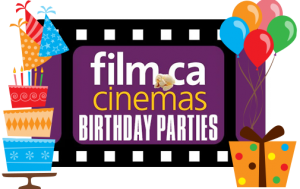 At Film.ca Cinemas we love making our young guests birthday dreams come true with our ever-popular BIRTHDAY PARTIES! Choose one of our exciting upcoming movies, snacks for the whole crew – and that’s just where the fun begins. 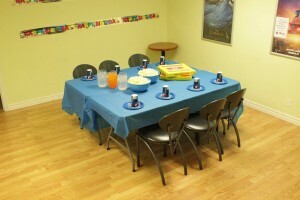 You can also move the party up to our party room before or after the movie for a pizza party, drinks, cake and presents. Be sure to book early – weekends around the release of highly anticipated family movies often fill up weeks or even months in advance. 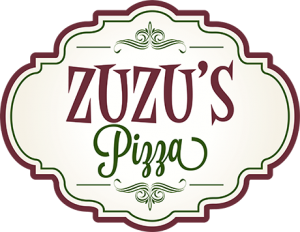 To book Birthday Parties, please FILL OUT OUR ONLINE FORM. One adult per 8 children required. We will make our best attempts to accommodate you, but to ensure staffing availability please be sure to book at least two weeks in advance. IMPORTANT NOTE: The use of any source of open flame or combustion is prohibited on our premises (this includes, but is not limited to, candles). Failure to comply will result in cancellation of party and ejection from premises. Should fire alarm be activated due to failure to comply, you will be held liable for any charges imposed by the Oakville Fire Department as well as any damages and/or losses incurred by Film.ca Inc.
All Parties MUST be paid for in advance (date determined when confirming party). Failure to pay cancels your booking with us (room is given to next guest waiting if applicable). You will be charged with regular guest prices. Party Reservation is done on a first come, first served basis. Drop off or fax in this booking form to begin the process. Please note: our Party Coordinator makes phone calls once a week times at their discretion. Email response time in 2-3 business days. Please note that films will not be confirmed until the Tuesday prior to your party date. 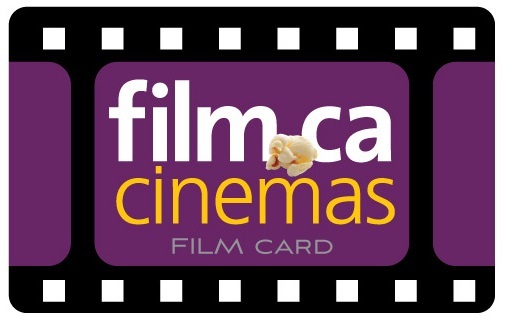 The preferred film of your choice may not be available. Movie times are scheduled weekly and as a result, exact show times cannot be guaranteed until the week of your party. (Please note: Hotmail.com addresses often do not receive our emails. Please use a NON-HOTMAIL email address, or be sure to leave your phone number. Enter more than one, in priority order. We now offer a Loot Bag option to provide to each of your guests! Each pass is good for 1 childrens admission to a movie from our schedule. Please indicate in the details paragraph below how many passes you were hoping to purchase. Booking process cannot begin until the form is signed. Time of day will be at their Discretion. Email responses made within 2-3 business days.